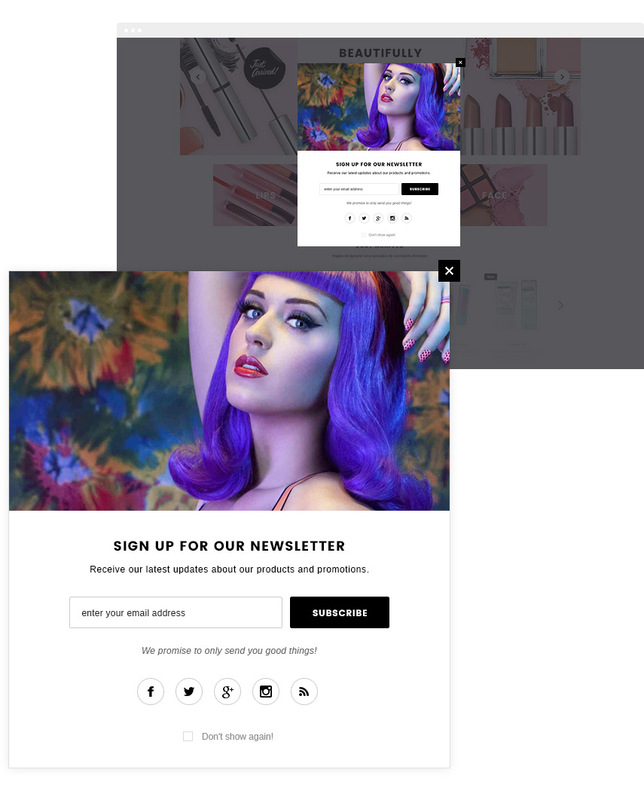 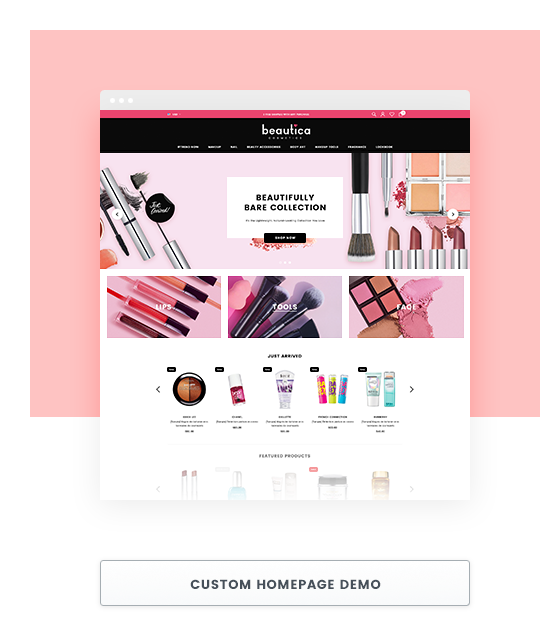 You need a gorgeous website for Health & Beauty Products but you have gone around in circles and spent a great deal of time to perfect your website in order to meet the demands of customers? 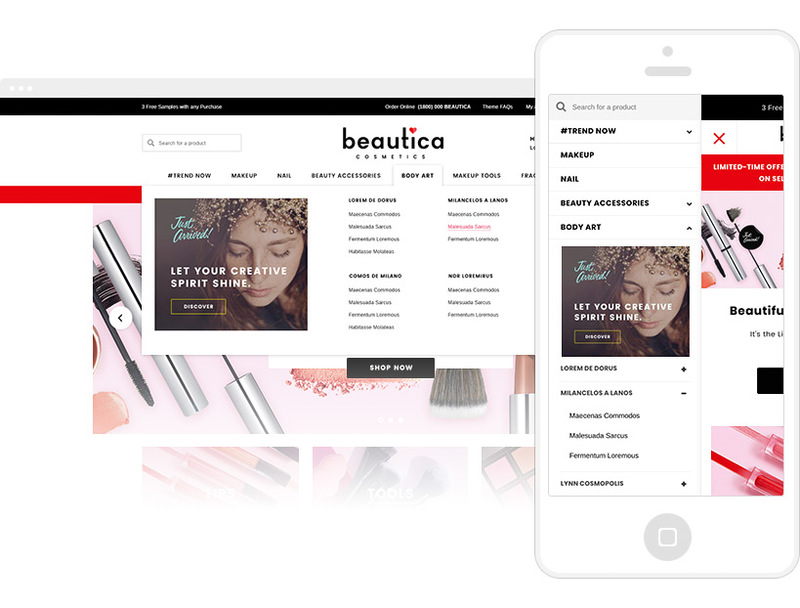 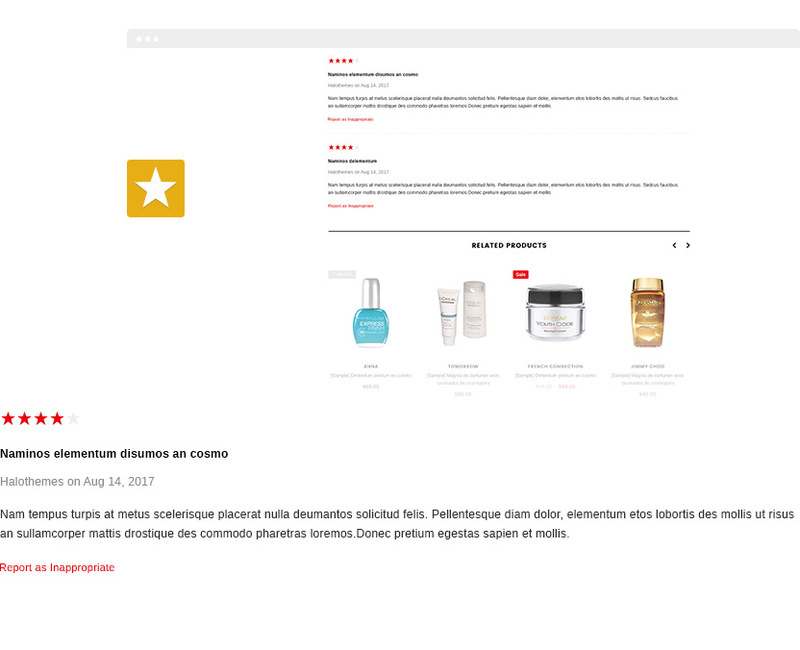 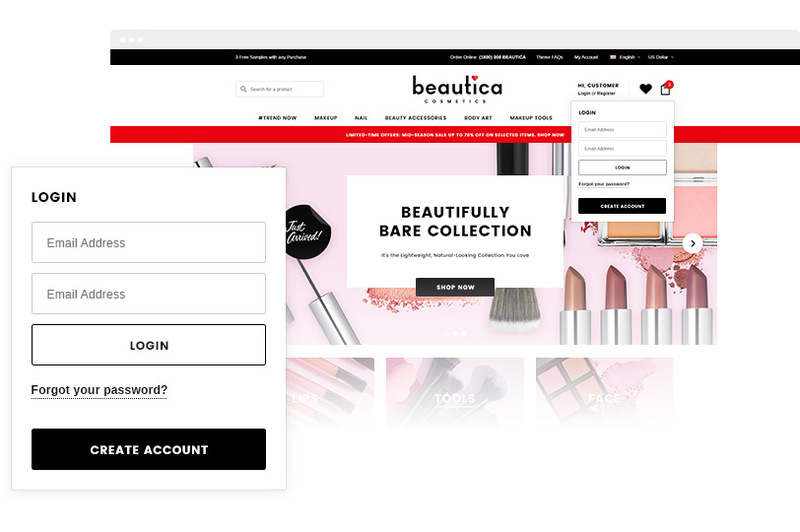 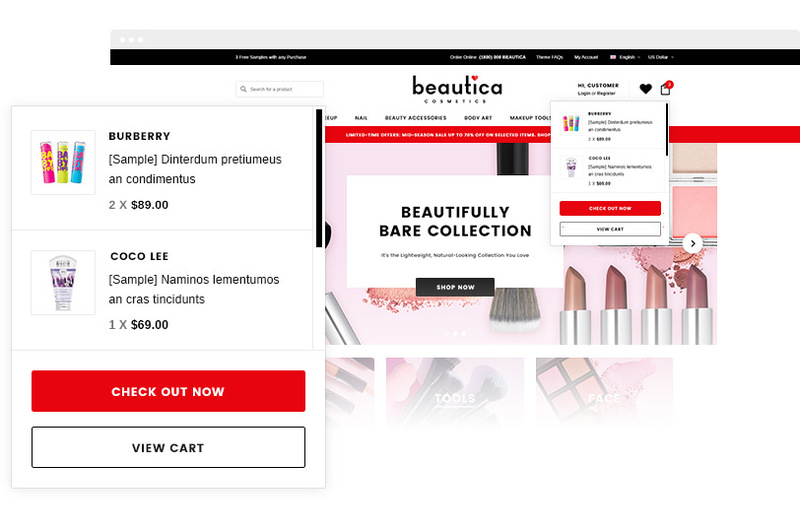 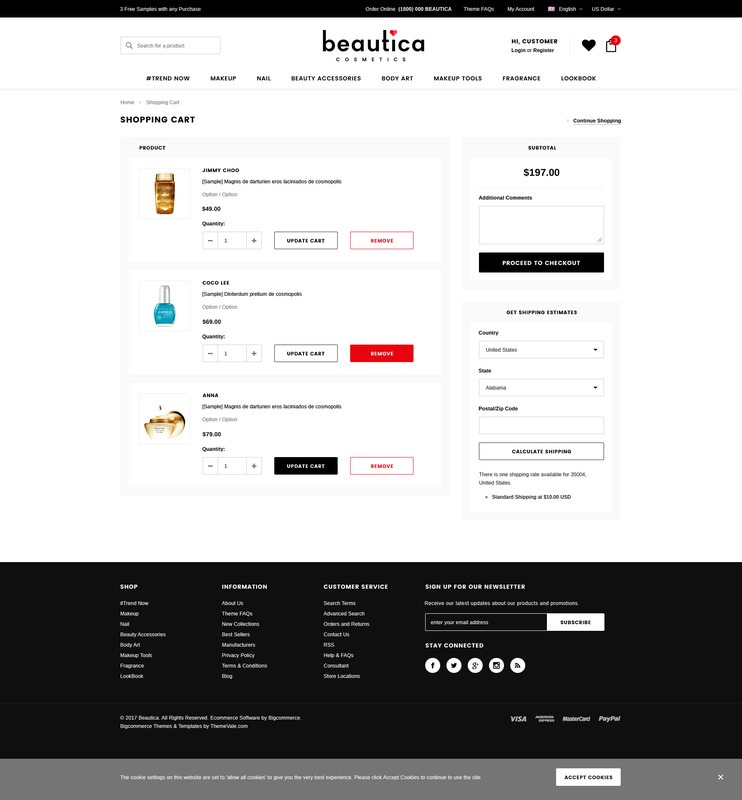 Let your worries go and prepare to setup a perfect store with our Beautica – Responsive Health & Beauty Shopify Template. 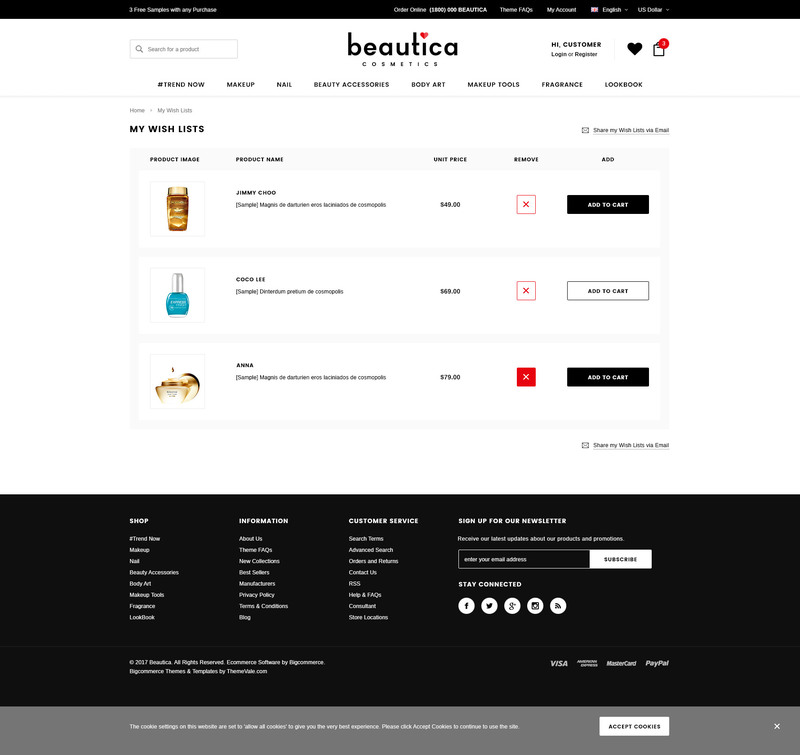 Beautica mixes and matches colors, banners, blocks… perfectly to give the whole layout a beautiful look. 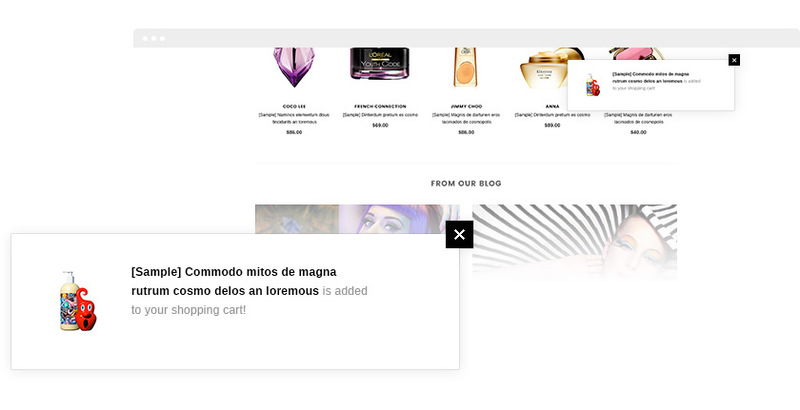 Homepage with large banners to show your hottest and newest products to immediately catch your customers’ eyes. 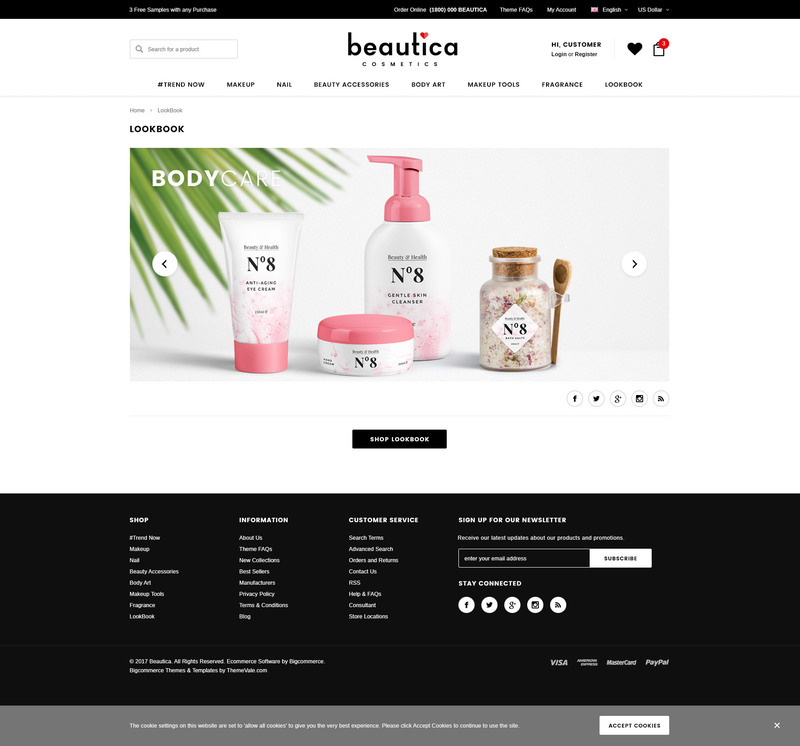 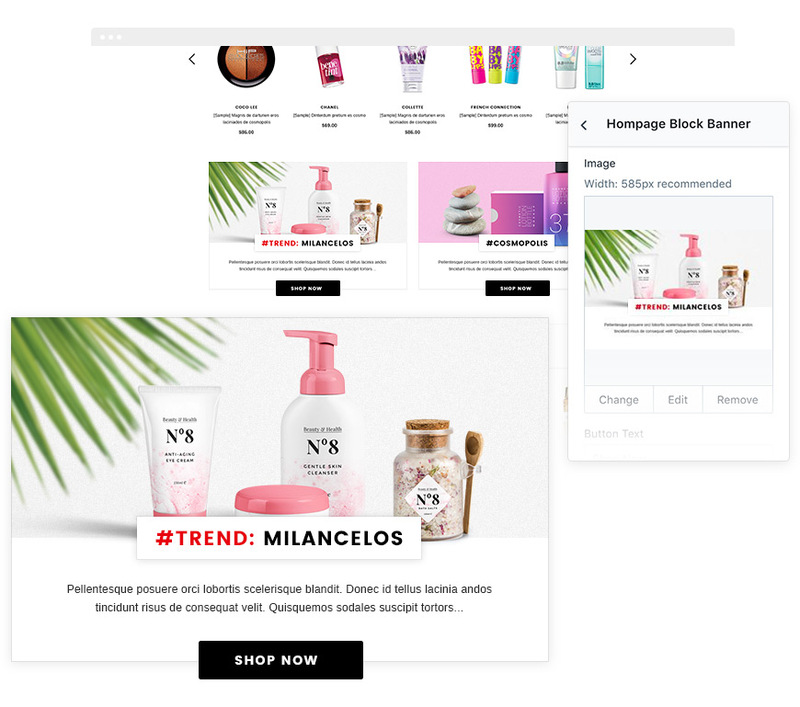 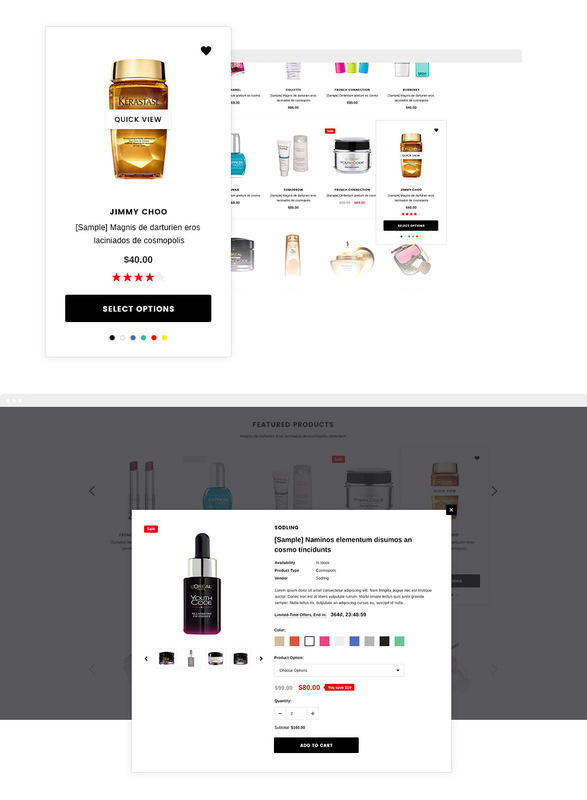 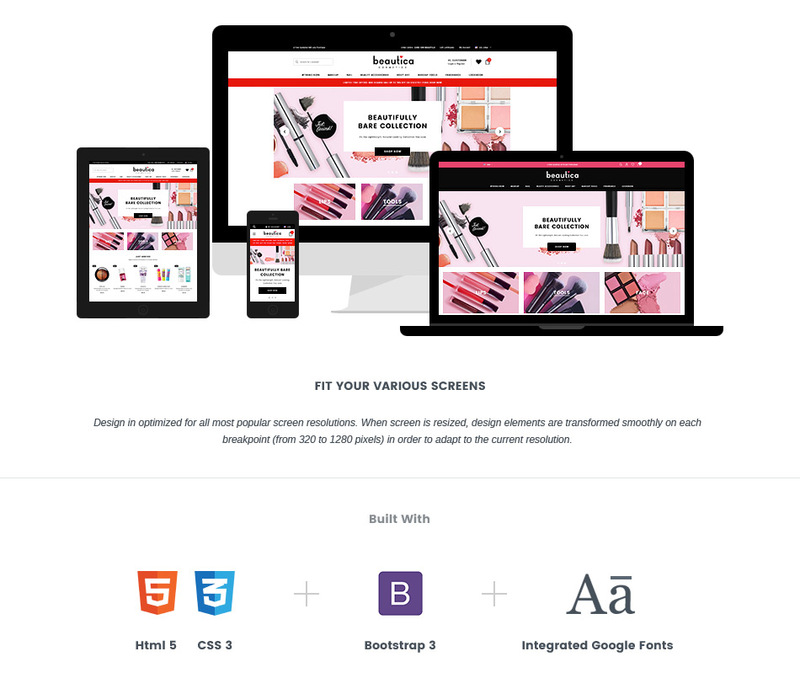 Moreover, we include 02 Homepage Versions for Beautica with a lot of premium features such as: Unlimited Colors Option, Advanced Mega Menu Module, Ajax Layered Navigation (Product Filtering by Tags), Variant Colors, Product Image Swap, Countdown, Instagram Gallery Module… which are well-displayed to attract the customers. 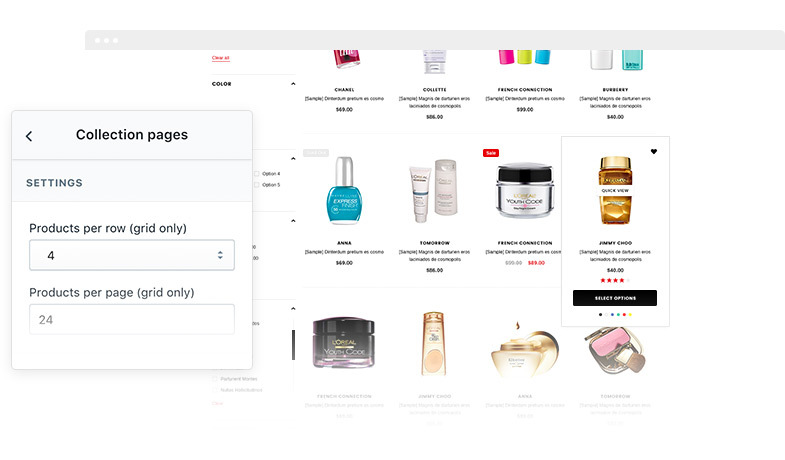 You now can easily customize and configure your website in Shopify Admin backend when you are even a newbie with Shopify because of the newest builder tool: Sections from Shopify (Drap & Drop feature). 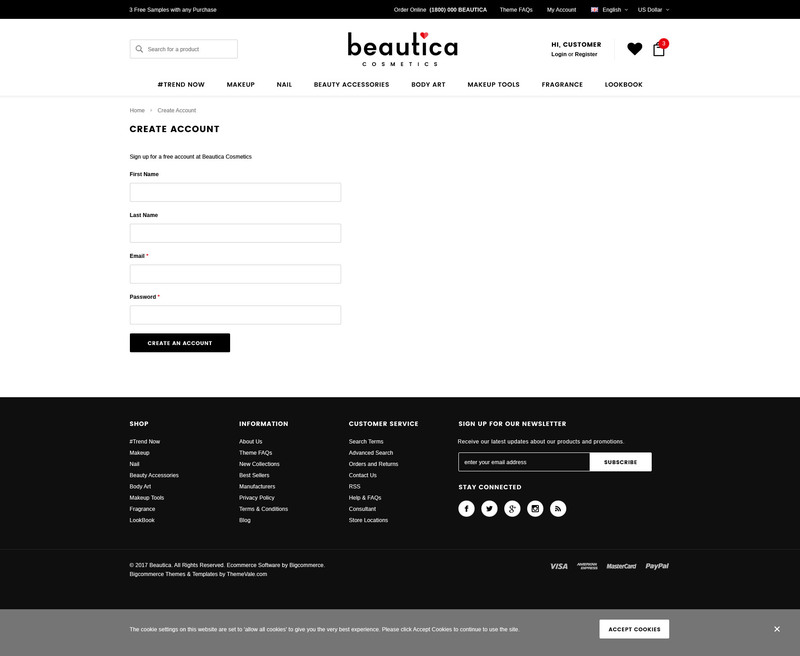 The theme Section builder is setup on all the pages in Beautica. 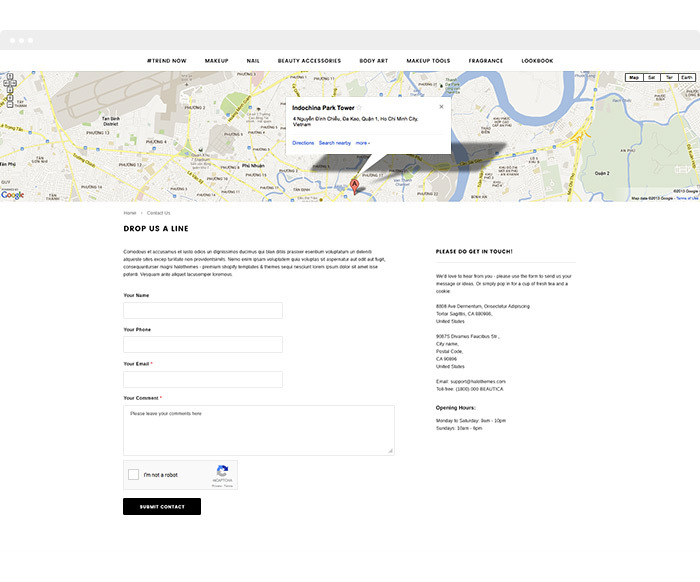 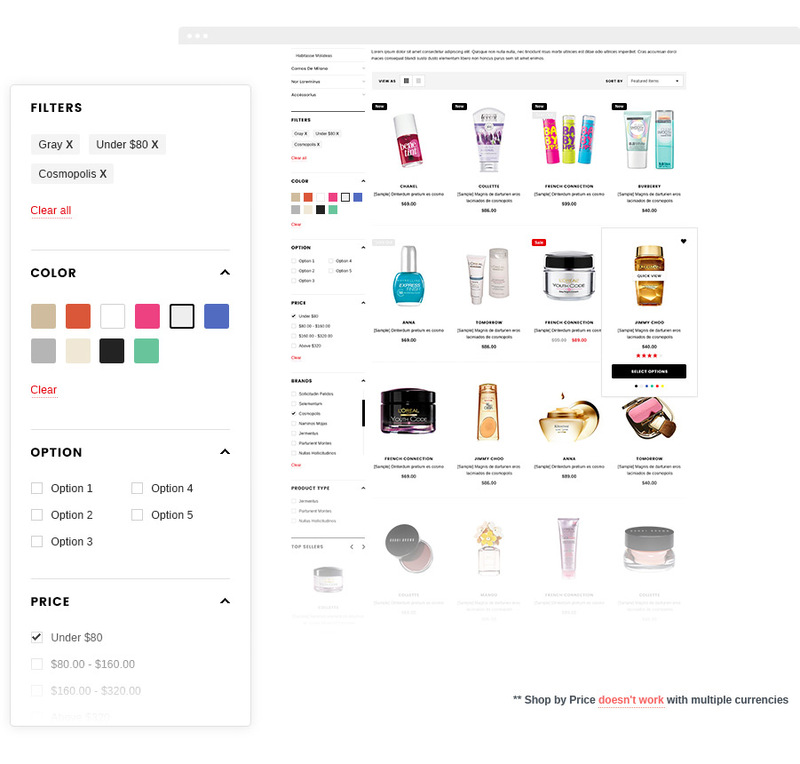 Sections gives you greater flexibility when customizing your online store. 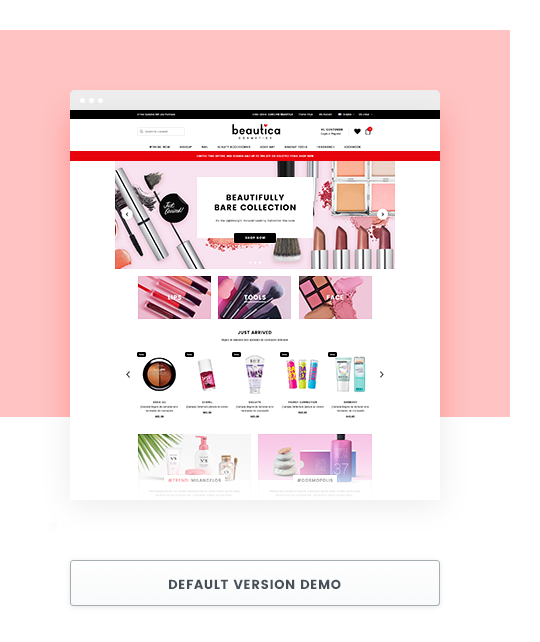 With Responsive Web Design (RWD), Beautica displays perfectly on devices such as: Desktop, iPhone, iPad, Smartphone Android, Tablet Android…We also optimize for Mobile version to bring the best experience on Mobile. 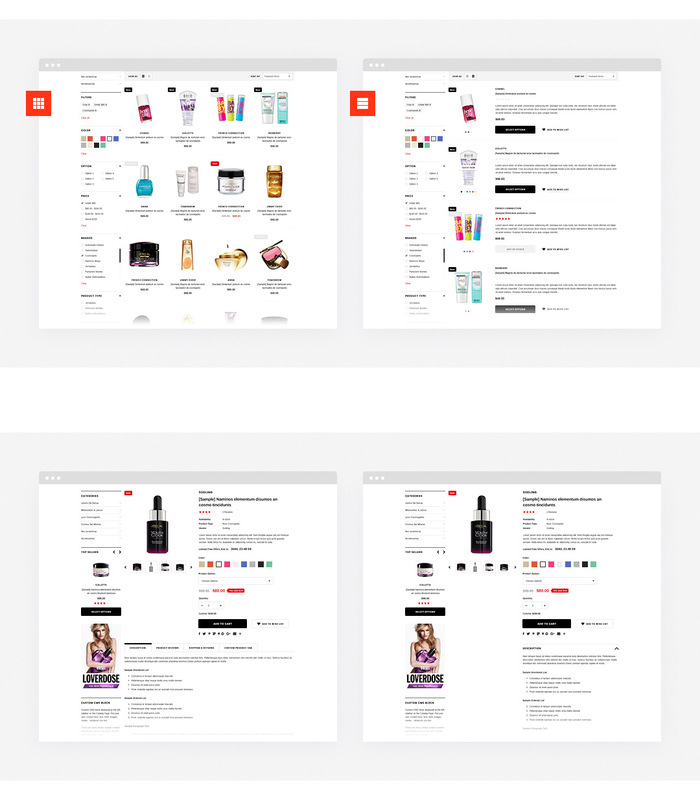 This will give your customers many great experiences on your online store whenever or wherever they are. 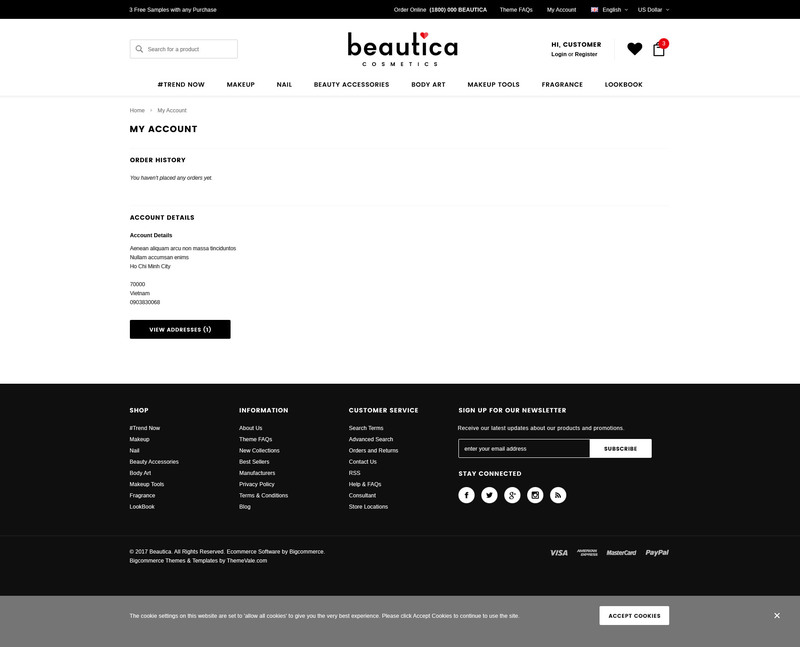 Don’t worry if you love Beautica theme but your store is not just for Health & Beauty Products. 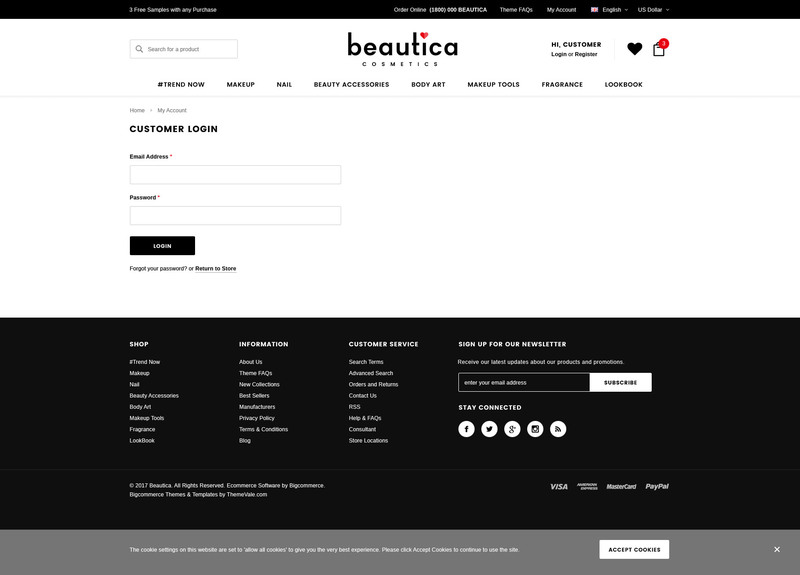 Beautica match perfectly with all Fashion store, Luxury Jewelry & Accessories Store, Luxury Bags Store, Shoes Store… and much more. 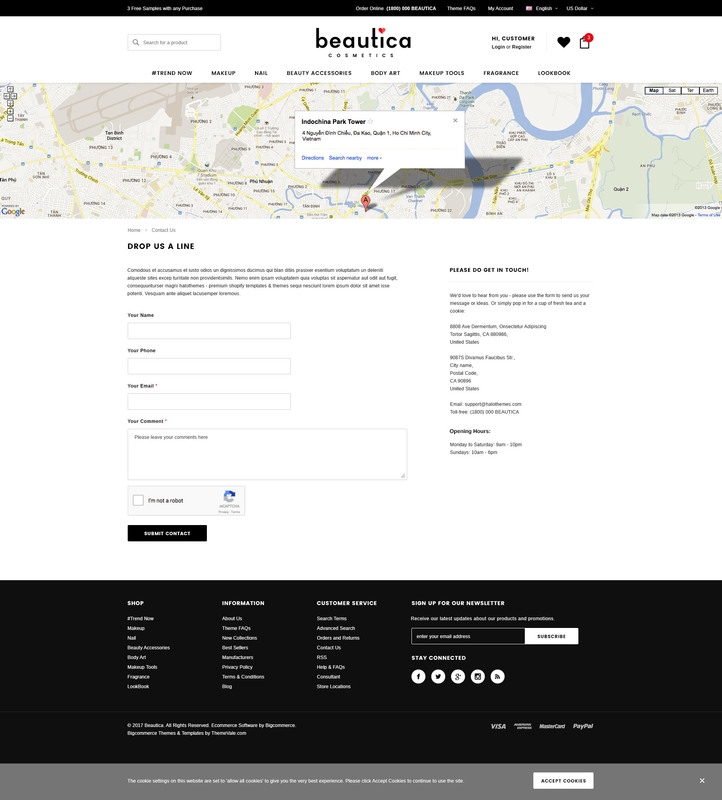 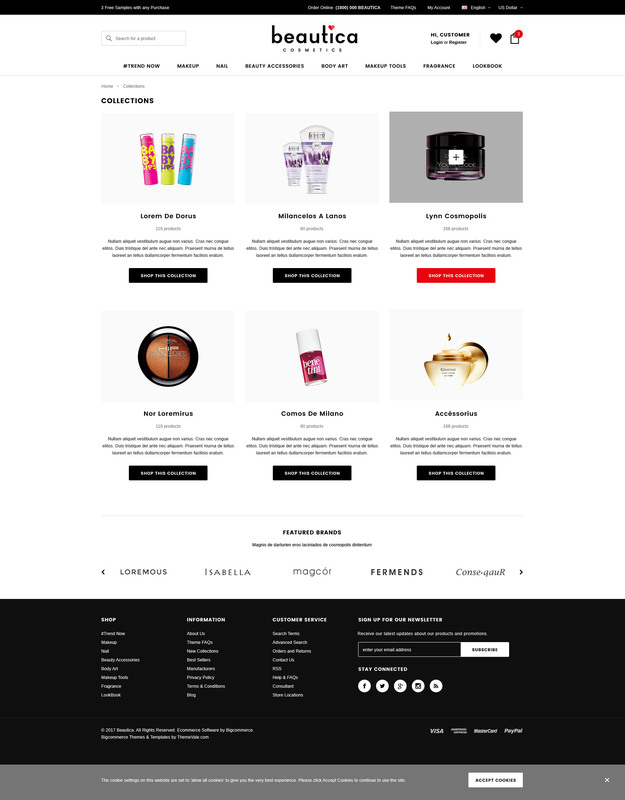 We hope you like our new sections shopify theme and will try and enjoy our shopify theme & template as soon as possible. 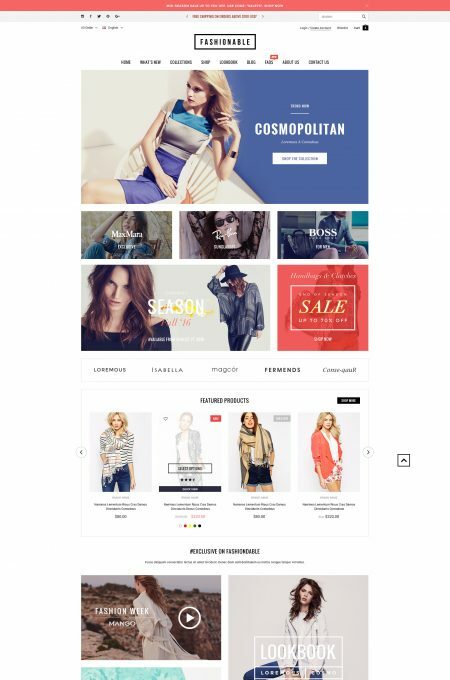 Choose your own Shopify theme & template for your Shopify store. 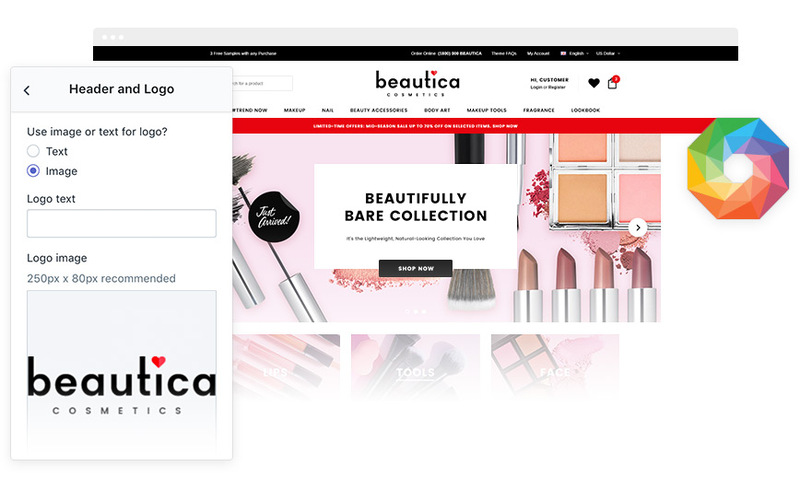 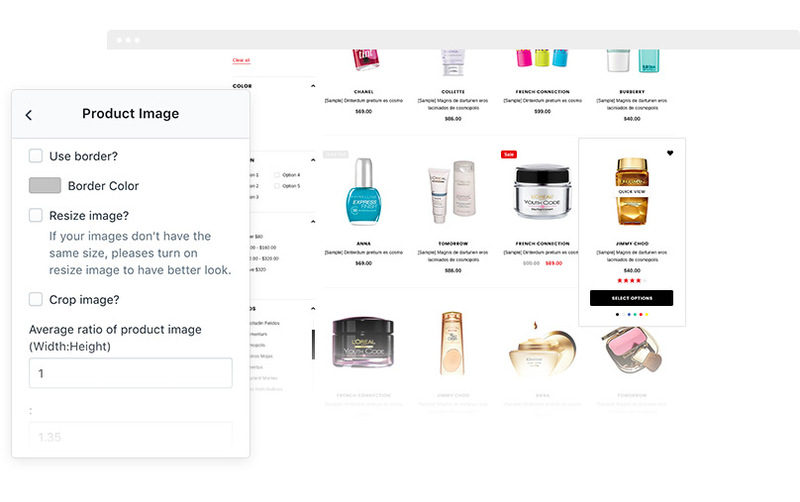 Our Shopify themes & templates are now integrated with Shopify Product Reviews (App), allows your customers to leave reviews. 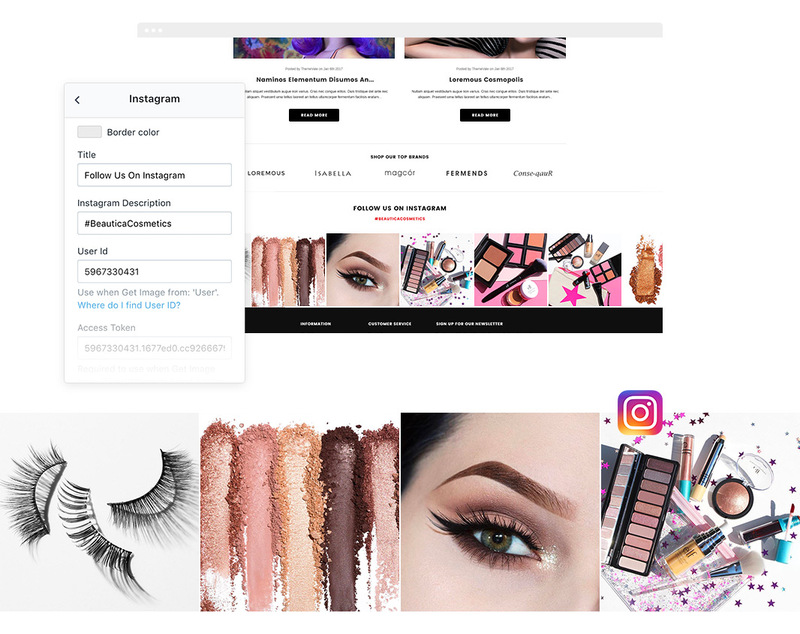 Showcase your recent Instagram photos or a Hashtag feed: Gird/ Slideshow/ Slider Images with a wide range of custom options: background and text colors, photo borders, widget width, slideshow pace… Simply to use and management.